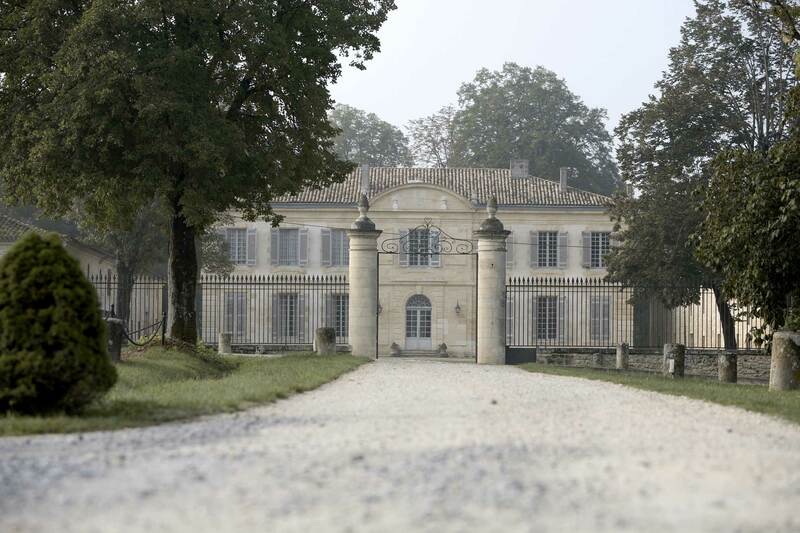 The estate dates from the XVIIIth century (1780), its architect being none other than Victor Louis (the architect of the Grand Théâtre of Bordeaux). It was commissioned by Mr. de Melet, a member of the parliament of Guyenne. This manor house has been the summer residence of the archbishops of Bordeaux for many decades. A central main building flanked by two parallel and symmetrical wings form a very “French” conception. The “West” wing fully shelters the wine storehouse (vats and barrels), while in the “East” wing are the lodgings and sheds. Sheepfolds, a mill, farm buildings and various accommodations form a homogeneous architectural ensemble. All this allows a great diversity of activities, which makes the charm of this setting near Bordeaux and Libourne.